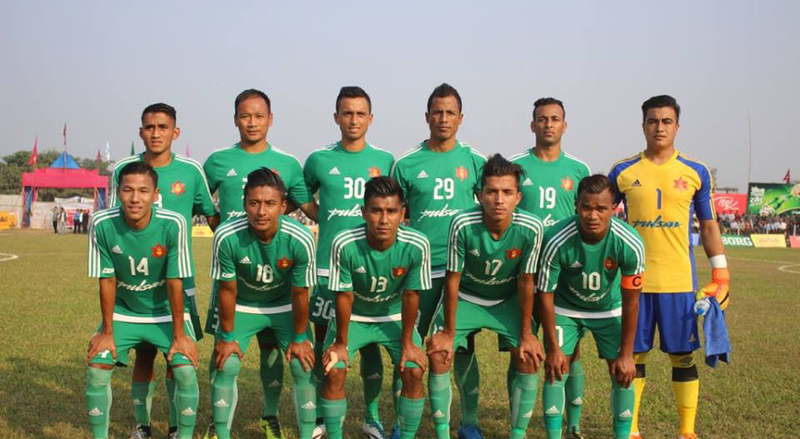 Tribhuvan Army Club (TAC) football team has advanced into the semi-finals of the first Damak Gold Cup football tournament defeating Damak XI by 6-0 on Saturday, May 05, 2018. For his hat-trick, Nawayug Shrestha of TAC was judged the man-of-the -match and was awarded with Rs. 11,000. TAC will now take on the winner of Laxmi Hyundai Manang Marshyangdi Club and Saraswati Club in the semi-finals. The tournament, which will conclude on May 11, will award the winner with Rs 1.311 million while the runner-up will get Rs 611,000. A total of 10 A-Division and district-based teams are taking part in the tournament.